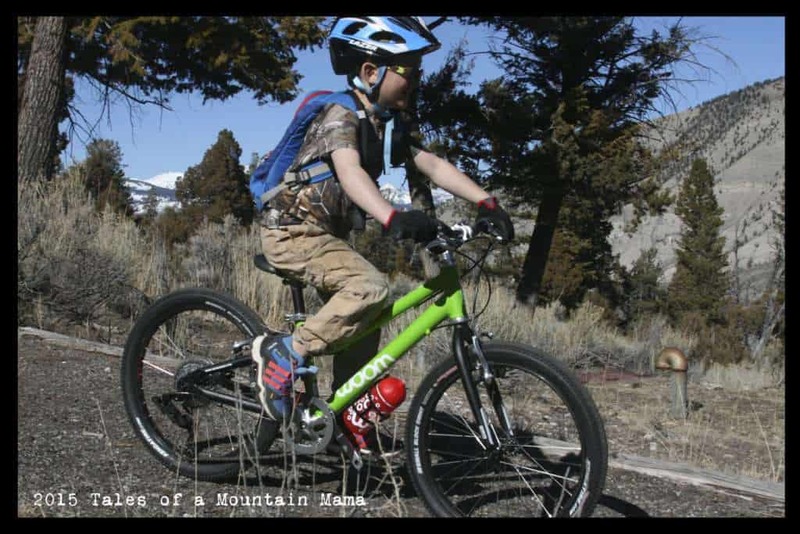 Mountain biking is quickly expanding to allow for the youngest of riders to hit the trails on two wheels. What once was a sport for more elite athletes, there is now both an abundance of gear (including bikes) and trails to allow the whole family to get out. 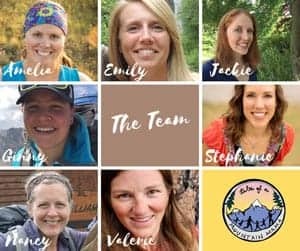 Below we list some of our favorites for families wishing to get their kids on the trails. We are no experts, but are learning alongside our kids (which is incredibly exciting!) 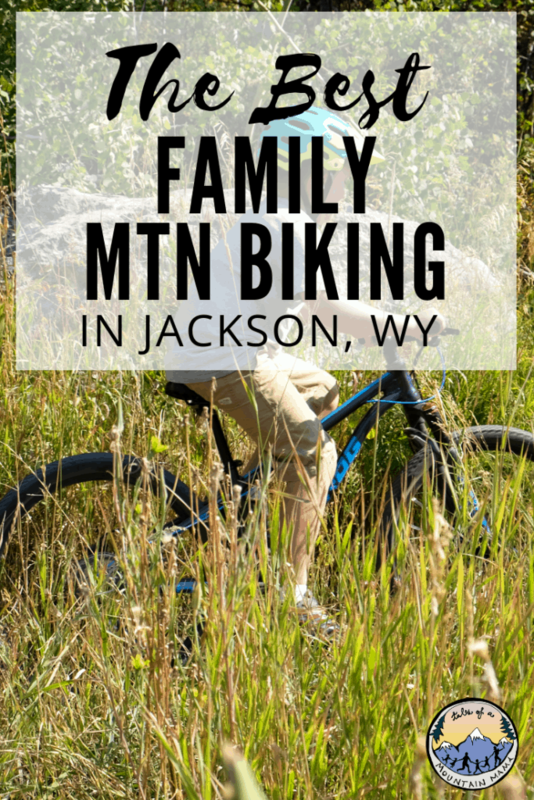 Know your way around family mountain biking? I would love your input in the comments – we’d love to learn from you too. I also relied on our friend Scott Fitzgerald of Buddy Pegs (go check them out right now here) to help me round out my local trail list. The Fitzgeralds know their bikes and their trails. 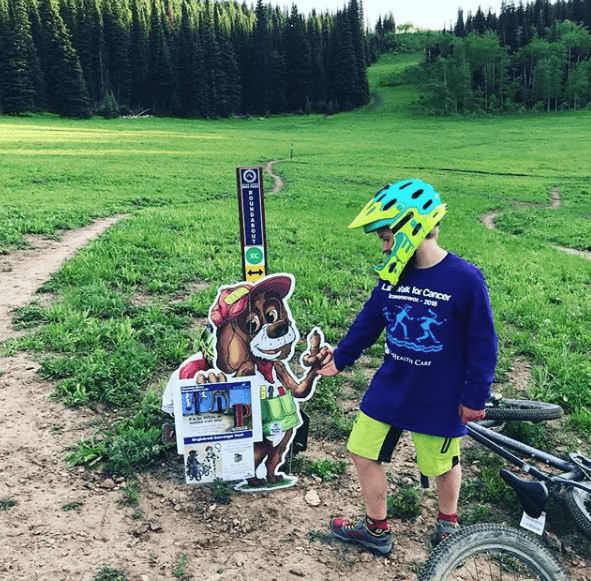 Psssttt….if you are heading this way, plan on biking the Buddy Pegs Scavenger Hunt trails at Grand Targhee. They are incredibly fun! This is a quick list of bikes and gear that we think helps get the family out just a little easier. 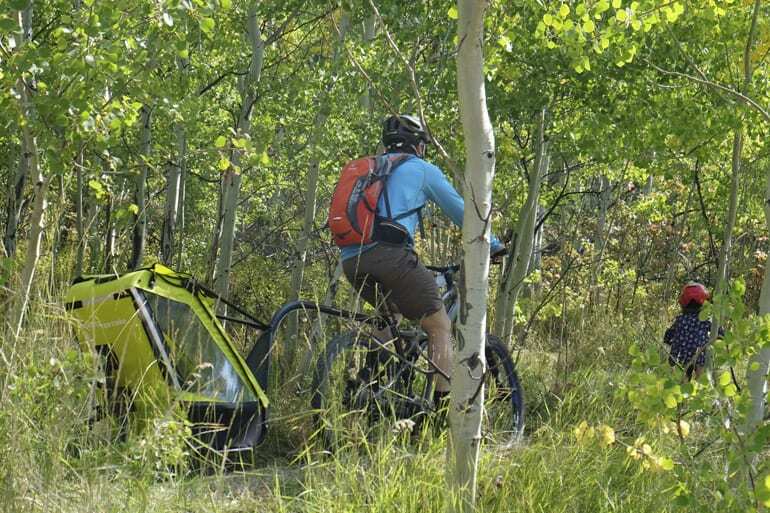 Tout Terrain Singletrailer: If you’re hauling a smaller child, this is THE best trailer for being able to do it on the singletrack. The suspension makes a world of difference. See our full review here. NEW Prevelo Zulu Series of Bikes: We have used and loved the Prevelo Zulu series for almost two years now since they first came out. You can read our review of the Zulu 3 here. They JUST released their updated Zulus including a Zulu ONE (which means a legit 14″ mountain bike with fat tires and disc brakes), AND a Zulu two (16″ mountain bike!) available for preorder. While we have yet to see the bikes in person, I can confidently say they are top-notch based on their previous mountain bikes we have loved so much. Frog MTB 62: Frog Bikes is making an entrance into the US market more heavily and their MTB series is lightweight with front-fork suspension that works well both on trails and off. This is a heavily used trail in Jackson year-round, but does allow for both some riding on a dirt road and singletrack for all ages. 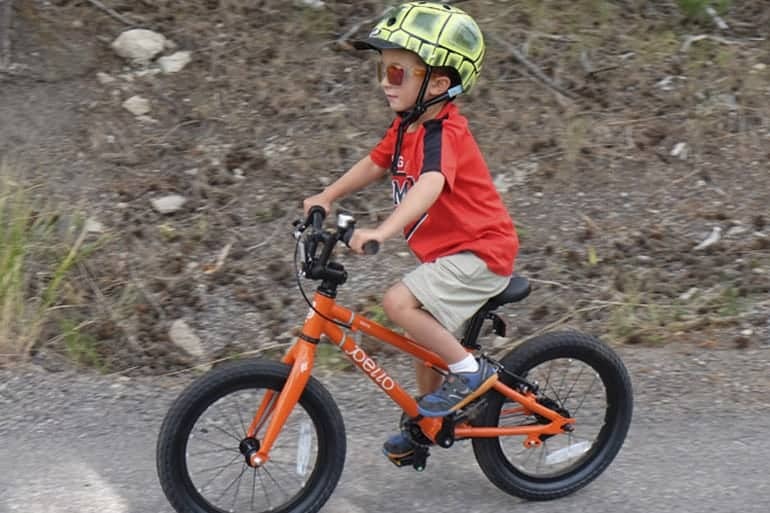 We let our balance bike riders to short snippets and are able to get on and off some slightly more difficult trails with the older ones easily. J (age 9) can pretty much bike all of the trails. We recommend Putt-Putt, the Cache Creek Road (not singletrack), The Sidewalk and The Wiggles. South of Jackson, this area is another local place with great singletrack. We haven’t explored the whole mountain yet, but recommend the Wally’s World trail for riding with kids. Big thanks to Scott Fitzgerald of Buddy Pegs for the fantastic suggestions listed below for biking in the Teton Valley area! If you have kids ready for a little backcountry adventure, the Arrow Trail is a great first mission! Park at the Ski Lake / Phillips Trailhead halfway up Teton Pass on the East side. Start the ride on the gravel road North of the highway. Don’t worry, this is the steepest part of the adventure. Look for the Arrow trail to start on your right after the first road climb. From here the trail gently rolls and climbs into the forest. Ride as long as the energy lasts and enjoy the flowy descent back to the start. 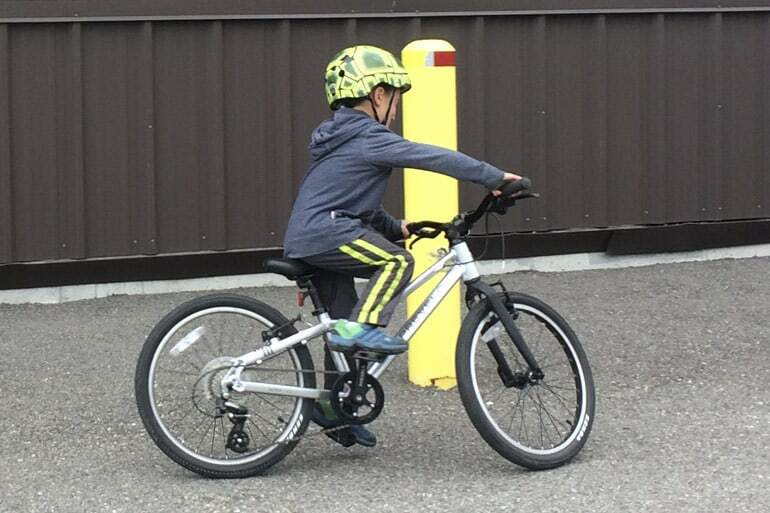 Strong kids on 24″ wheels could climb to Phillips Ridge and enjoy the ride back into Wilson (bring lots of snacks!). We started riding this trail with our son at 7 years old (20″ wheel). 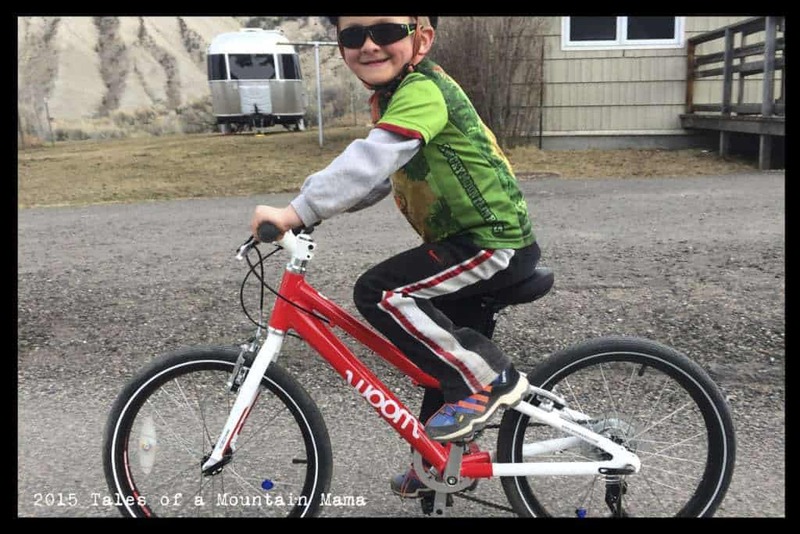 Great for confident balance bike kids and early pedalers! Park at the end of the Old Jackson Highway East of Victor and ride East toward the highway. The trail begins on your left (North side), climbs a bit steep at first, but then quickly flattens out and rolls gently up and down toward the ID/WY State Line. This trail is an out and back so turn around when you hit the end. 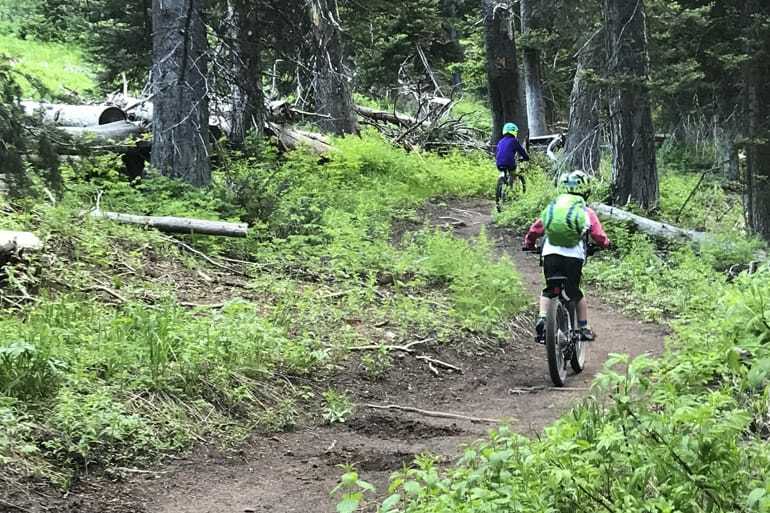 The trail has more descending than climbing when you ride it East to West and works well as a shuttle if climbing is still a challenge for your kiddos. To shuttle, park at the ID/WY State Line and look for the trailhead behind the Idaho sign. The hills are short and easy to walk if little legs are getting tired! Our son started shuttling the trail at 5 years old but in hindsight, we wish we had brought him there when he was younger! A good challenge for young pedalers (age 6+). Park at the Mike Harris campground East of Victor (across the highway from the Rush Hour Trail) and look for the big trail kiosk. The trail mostly climbs gently from the parking lot to the top but plenty of flat rolling sections give riders plenty of breathers. The hills are short and easy to walk. The descent is all smiles and giggles! Even though the trail isn’t steep, confidence with breaking is required for the descent. We started riding this trail with our son at 6 years old but we see kids as young as 4 or 5 being helped along by parents. 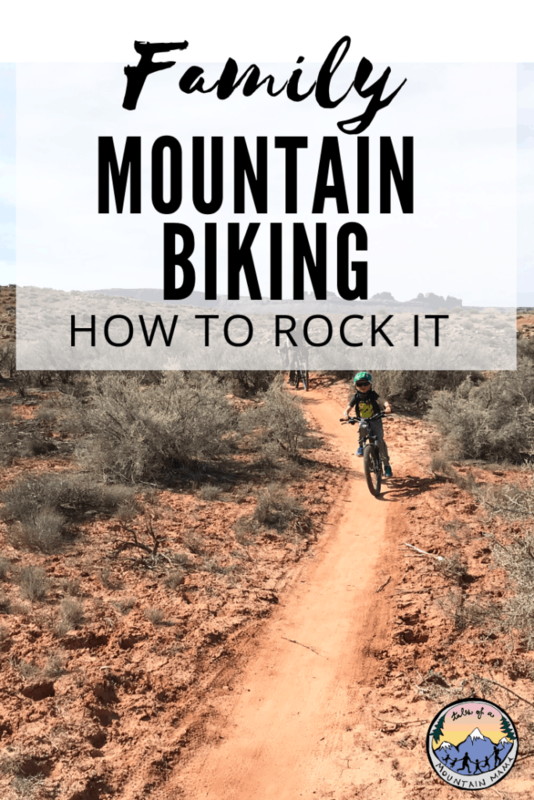 The classic Teton beginner mountain bike ride! Perfect for balance bike kids and early pedalers. From Driggs turn East on Ski Hill Road and head toward Grand Targhee Resort in Alta, WY. Before Ski Hill Road starts to really climb, turn right into Teton Canyon and drive to the first main parking lot (hard to miss). Park there and ride over the well-marked bridge on the South of the parking lot to start the trail once you take plenty of pictures of the stunning Teton views! After riding into the forest, and crossing the beautiful, historic Sheep Bridge the trail has one short, steep climb that most kids walk up. After that, stop for an early snack and adventure below the huge tree to the South (a perfect fort!) or ride the trail East toward the Tetons and enjoy a flat roller coaster ride with very little climbing or descending. Look for good snack break pull-offs to the left as you ride near the creek. Most families turn around and ride back once they reach the end where the trail crosses the creek. We started riding this with our son when he was balance bike riding. 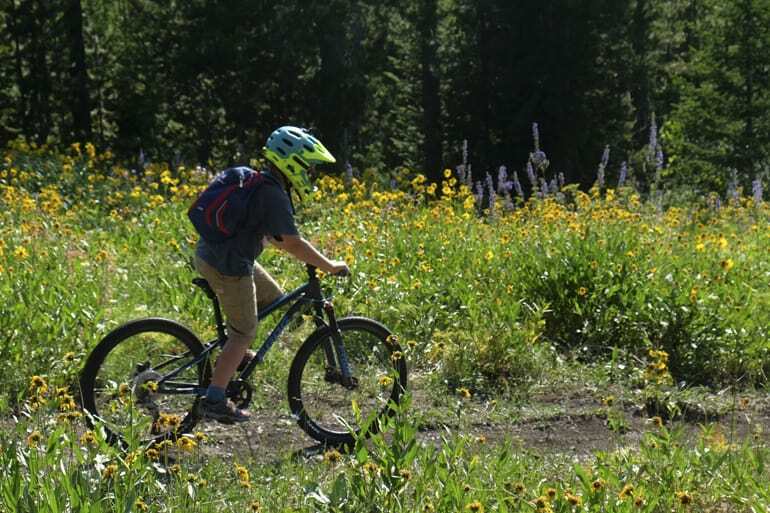 It doesn’t get any better than Grand Targhee Resort for family-friendly singletrack! Confident balance bike kids and early pedalers can ride Greenhorn trail from the parking lot into the big open meadow and then kick/pedal back on Roundabout to the lower parking lot. Little riders who are confident with their braking will enjoy starting on the North end of Roundabout and riding down through flowy berms to the creek below before crossing a wide wooden bridge and climbing up the other side. 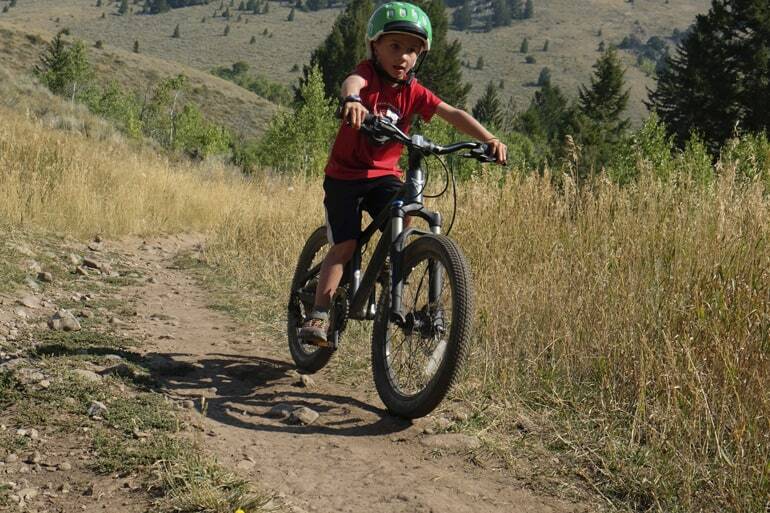 The Shoshone chairlift has great trails for kids (typically 20″ wheel and above). Bring Em On Home and Shake Em On Down are perfect flow trails with small rollers and berms. If a little bit of climbing is ok, be sure to ride Pika Traverse to Yogi, and Greenhorn to Jolly Green Giant. The options feel endless and there are a number of fun rides for every ability level! 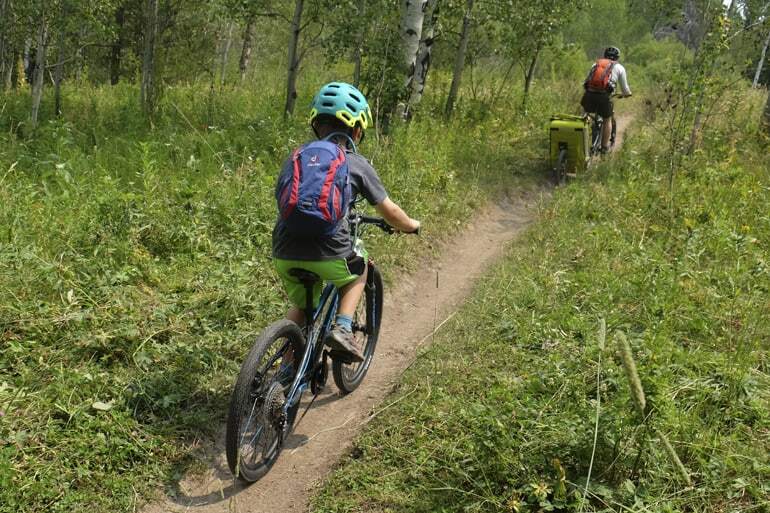 This has been our family go to for years and the progression still continues as our son learns to ride the harder DH and XC trails on his 24″ wheel bike. Lots of fun helping with this Amelia – great job!